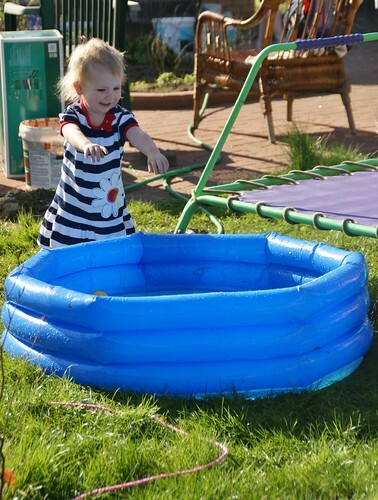 Anna and Amaia's blog: Paddling pool in March! Today mummy brought a big bath of water out for us to play in the garden. It was great fun!